While in Gettysburg, as I may have mentioned, last year, I was walking thru the vendor tables looking for a device called the "Shack Hack". Dave, from Darkness Radio was selling a few of these at his table and I purchased it from him and he showed me how to use it. Basically what it is, is a regular AM/FM radio from Radio Shack that has been hacked so that when you press on the scan button, it will continuously scan the AM frequency channels. This provides white noise and the theory behind that is that the spirits can utilize this white noise and use it to communicate to us. Does it work? Well, of course not 100% of the time nor is their proof--->skeptic talking there. Now we all know what a radio voice sounds like, that booming, distinctive type of voice that you hear on commercials or announcers. Great voices like Dave Schrader from Darkness Radio or that famous guy who was featured on tv a few months back that you may have seen who was picked up off the streets looking for money and advertising himself as having a golden radio voice. Now the issues with this device is that yes, it can eventually stop on a radio channel and you have to push the scan button again. It's also hard to hear thru all the crackly white noise what is said sometimes. You do have to have a recorder on too so you can capture what you do get from it so you can analyze it later. Of course there is again, no way to really verify this but it IS an interesting theory and cheap piece of equipment that is so simple and yet it can really give you a great response at times. Sometimes you may not get anything at all, but it does not mean it is not working. I have a theory on this device and others that if what they are designed for, is true, and let us say it is for argument's sake. Then, it is a theory of mine that the spirits have to understand it and realize that they can utilize it to communicate with us and that yes, we are actually hearing and responding to them too! Now that's a big concept I would think. I got it in Gettysburg last year while with my friend Tina of Ghost-Guide.com and after Dave showed us how to work it, we went up to our room to put some things away before our next class. While there, I thought to perhaps give it a whirl real quick to see if we might get something there in our room. I began to ask if there was anyone there and if so, could they please tell us their name. After a minute or so of scanning, we immediately got a response: David. Wow! Ok, maybe not too impressive and yea, maybe it could have been a radio voice coming thru? Ok so next question. I said hello David. I told him my name and Tina's and then asked if he wanted to talk to Tina? Same voice came back and said "No." I was like ok, laughed a bit and then said oh so if you would like to talk to me, is there a message or something you might like to tell me? Same voice again said: "Druid, listen." I didn't quite make out the first word, but Tina did. She gasped and asked me if I heard what he said? She told me and I was so shocked and surprised at this for the word Druid has significant meaning to me as I am studying Druidry and only Tina knew that. Unfortunately, I had no way of knowing at the time just the significance of where we were and now that I've returned to Gettysburg after researching it a bit more, I went to the monuments in the area along Confederate Ave and I did not see any soldiers who may have been named Neil. Those in that particular area we were at, only shows the General or officer in charge and the state that is represented and honored there. Unfortunately, I did not have the foresight to have my recorder on to have captured that. I did go down there to see if I could duplicate it again when I just returned to Gettysburg and sadly, no. I don't think it was a civil war program at all considering a man's voice must have said it like 7-8 times those same three words and in different order. Very bizarre! Features on this radio is that yes, it is a typical radio too and you can listen to the FM channels as well. There is also a place for headphones and a nice wrist strap and the volume control is on the left side. It's a nice lil radio, lightweight and small and not cumbersome. It does take time to get used to the white noise and being able to distinguish a radio voice from something that might just be..otherworldly. 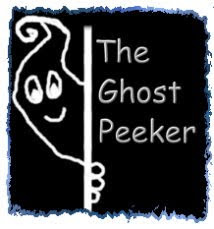 ;) But it is relatively cheap and an easy add to your ghost hunting equipment. I'll be talking about this radio again as I go into the Waverly Hills investigation which is coming next!